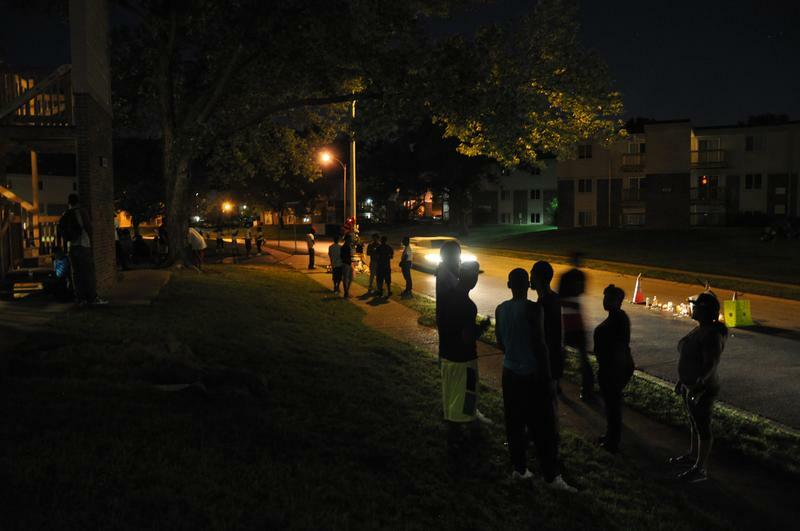 The Documenting Ferguson project launched in the midst of escalating protests that called for justice after the death of Michael Brown. As protests quickly grew into the Black Lives Matter movement -- with similar protests in cities like Baltimore and Cincinnati -- documentary efforts also spread from the St. Louis area to other cities. “We were really inspired by the Documenting Ferguson project, we looked at it as a model, we looked at how it was set up, how we thought it was easy to use, where we thought it was kind of difficult to use, and how we could emulate it,” said Joe Tropea of the Maryland Historical Society. 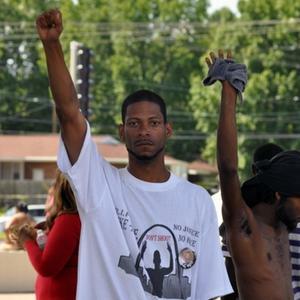 Tropea is the primary organizer of BaltimoreUprising2015, which took cues from Washington University’s Documenting Ferguson while getting off the ground. 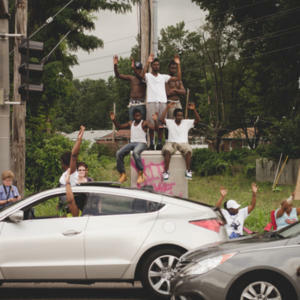 Both projects aim to crowd source images, video and audio from protests and communities connected to events that took place following the deaths of young black men: Michael Brown and Freddie Gray. While Documenting Ferguson has been inspirations for others, it's still evolving here at home. Three goals have occupied Documenting Ferguson organizers over the past year: building awareness, building the collection and collaborating with other organizations. The goals have been met with various degrees of success. Makiba Foster, who is a subject librarian at Washington University and the project lead, said she feels a specific responsibility for the project. “I’m sometimes in awe by some of what’s going on, sometimes overwhelmed by ‘We gotta get this right,’” said Foster. Foster, working with other university librarians, launched the initiative to create a community-based archive independent of different media outlets. Citizens can upload their photos and videos to a website that saves the media and makes everything accessible to the wider public. Building awareness and building a collection will determine the project’s success. Members of the group attended rallies and protests to spread the word about the project. They shared the project on social media and spoke directly with protestors about contributing to the archive. Yet, submissions to Documenting Ferguson plateaued as the protests spread to other cities and lost steam in the St. Louis area. Recently, the group developed a promotional trailer for the project, which aired at the recent St. Louis Film Festival. If applause is a measure of support, Documenting Ferguson has it, but submission rates remain slow. That has spurred librarians to reconsider how they are trying to get submissions. Limited awareness means limited content. To build content, the project is looking to students who participated in, documented, or just have connections to the protests. Foster sees the recent protests at college campuses like Mizzou as a continuum of the Ferguson activism. She said the changing scope poses a fundamental question for the project and possible shift toward focusing on college activism. “Students are really waging the good social justice fight. So how does that impact Documenting Ferguson?” she said. The group now works with different classes to integrate student media into the archive and uses the archive as reference point for teachers addressing the protests. 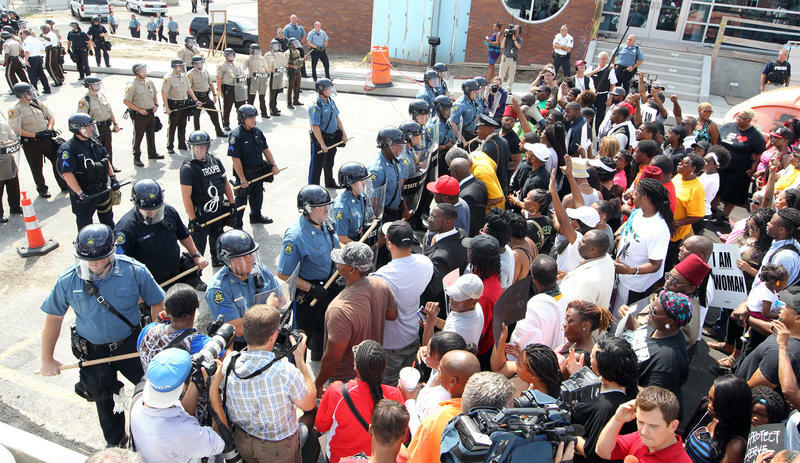 These efforts have produced hundreds of images and videos from various St. Louis area protests. The project Documenting Ferguson helped inspire, BaltimoreUprising2015, has collected thousands. Tropea said the project in Baltimore initially shared similar difficulties getting people invested in the project. As Documenting Ferguson did, BaltimoreUprising2015 partnered with grassroots organizations and relied on student content creators. But Baltimore has had a much higher submission rate. Documenting Ferguson and the Regional Collecting Initiative are working to find more for the archive here. Foster said organizers are committed to developing outreach and educational opportunities for the project. Foster and librarians Shannon Davis and Nadia Ghasedi recently received an internal university grant to collect more oral history and recordings from Ferguson and the surrounding community. Currently they’re examining new modes of collecting and archiving digital media like tweets and social media posts. They remain in conversation with groups in Cincinnati and other cities where Black Lives Matter protests continue. They hope the project will soon stand on its own. “It’s good work and I hope we can create something that’s sustainable and has a good pair of legs,” said Foster. 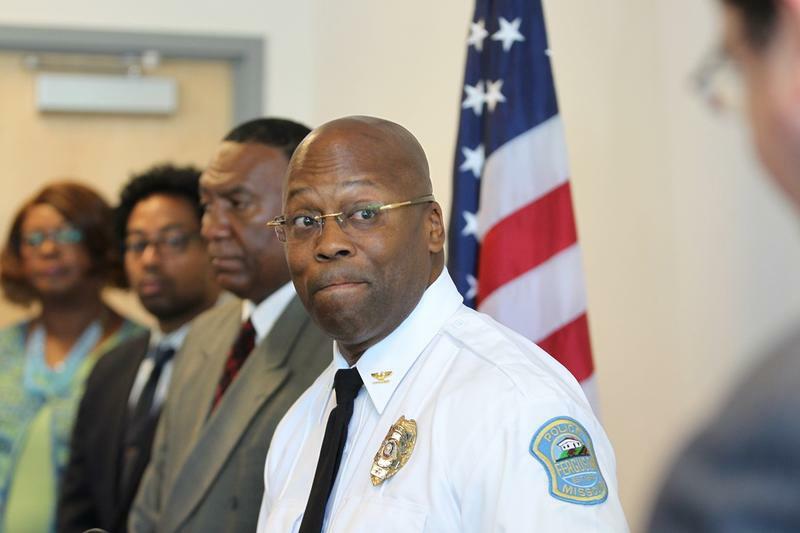 The library at Washington University in St. Louis is building a digital repository called “Documenting Ferguson.” The collection will provide the community with a space to save the media they’ve captured since the death of Michael Brown. The online collection is open for anyone to contribute material.The archive will accept photos, audio, video, and written stories. 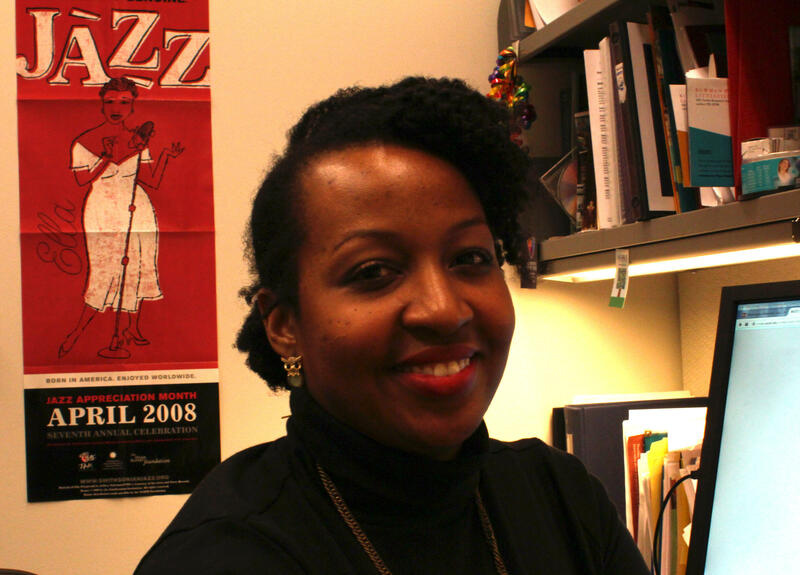 Shannon Davis is the Digital Projects Librarian at Washington University. She says it’s important to capture this material now before it disappears. A unique blend of technological, circumstantial and social issues face archivists and documentarians who are trying to preserve the events of the past five months in Ferguson. Joel Levy, 20, stands on West Florissant Avenue, a central site during the protests over the shooting death of 18-year-old Michael Brown. His initial interest in Ferguson was opportunistic, spurred by the heat of the moment, yet he’s now dedicated to portraying the broader story of what’s happened in Ferguson since Aug. 9. 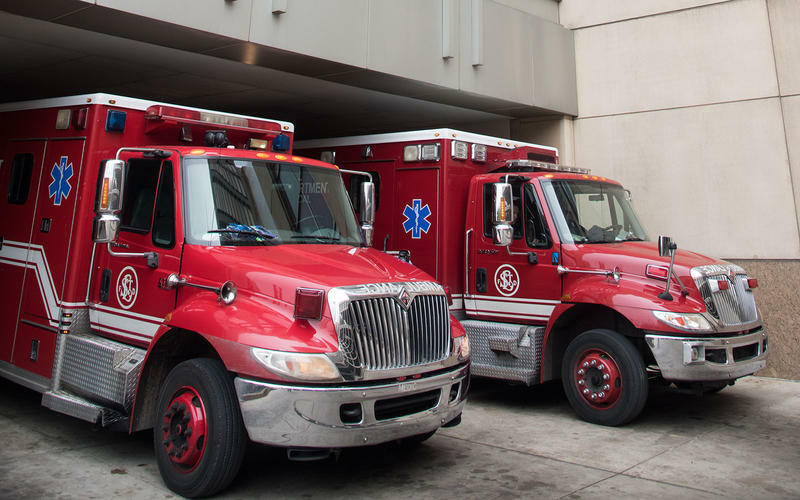 The St. Louis region faces a wide range of potential public health crises, including natural disasters like tornados and floods, infectious disease epidemics and civil unrest. Our ability to respond to such emergencies will be the focus of a conference on Thursday hosted annually by Washington University’s Institute for Public Health.